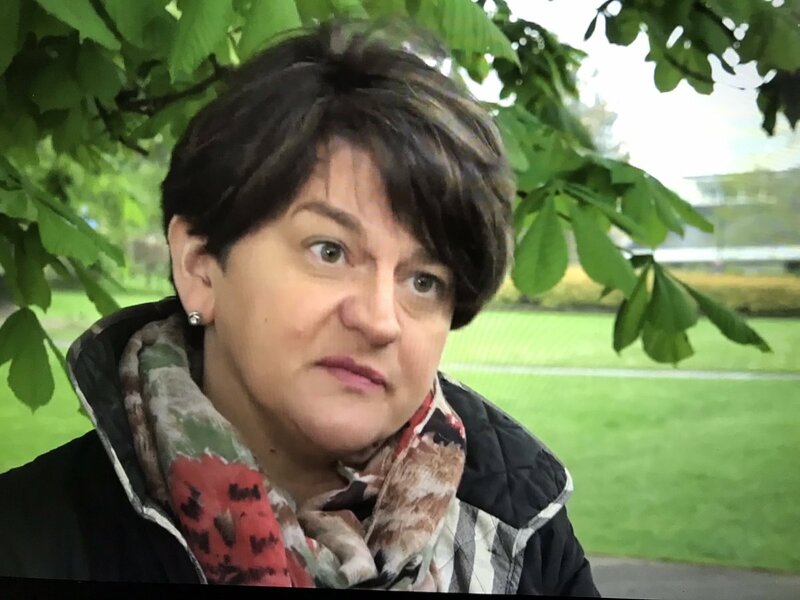 “An attack on any one of us is an attack on all"
"This was an attack on everybody in Northern Ireland, doesn't matter if you are Catholic or Protestant, British or Irish," DUP leader Arlene Foster condemned the killing of journalist Lyra McKee. 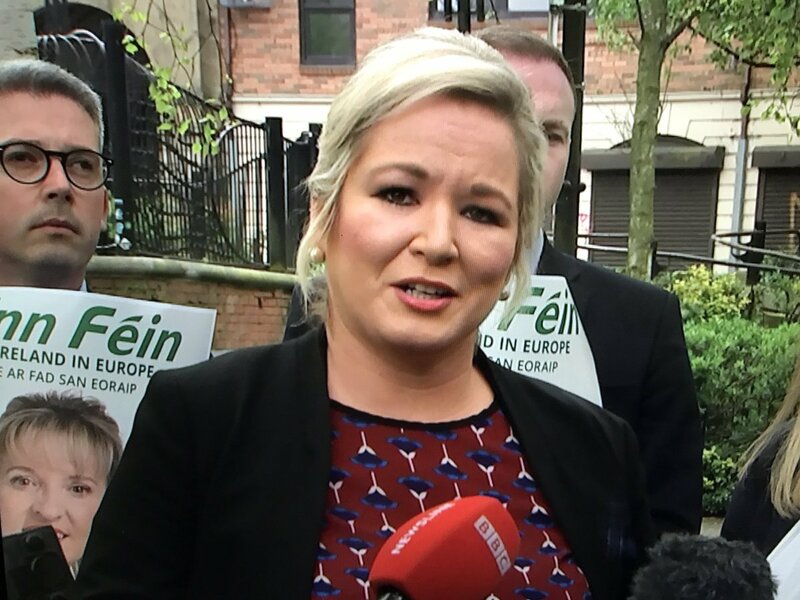 DUP leader Arlene Foster and Sinn Fein Vice President Michelle O’Neill condemn the “tragic” killing of journalist Lyra McKee who died last night. 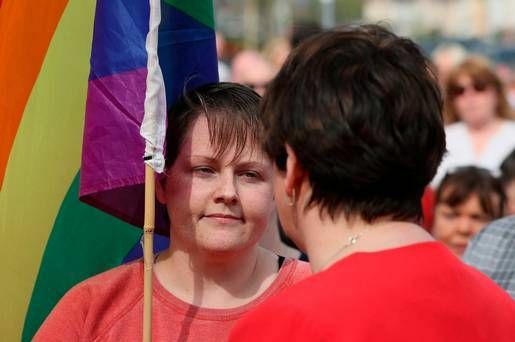 DUP leader Arlene Foster says violence was "always wrong and is still wrong" after journalist Lyra McKee was shot dead in Londonderry. "I would stay in the European Union and remain, rather than risk Northern Ireland's position,"
“Let them go to the chippy instead” - DUP MPs muttering behind me when @IBlackfordSNPMP mentioned food prices rising after No Deal#Brexit . It won't be MPs who have to cope with worst impacts of No Deal. @duponline should be ashamed of their disregard for people they represent. 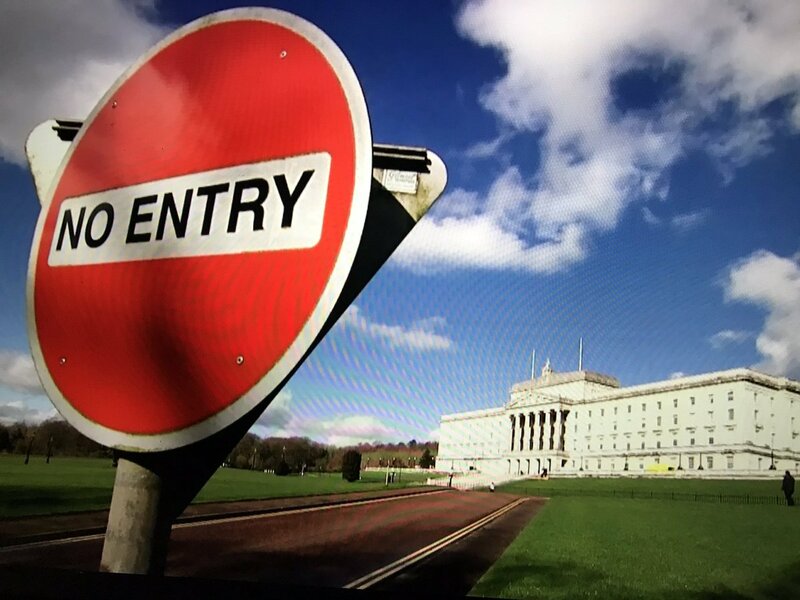 This Tory-DUP deal has not been done in the national interest but in the interest of & ' own political survival. The Tories and the DUP have just voted through cuts to free school meals in England. 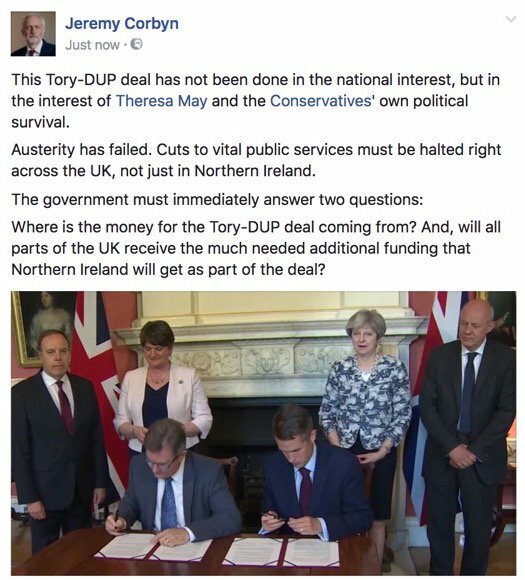 The Tories bought the DUP's support by excluding Northern Ireland from these cuts. A disgraceful tactic which is playing politics with the health of our children. So let me get this straight. Theresa May spent £1 billion getting the DUP to prop up her govt and now she’s spending £2billion to prop up her Brexit deal. So that’s one woman, wasting £3billion of public money for nobody else’s benefit except her own.